Traffic Police Station chief Jaiprakash has written to Deputy Commissioner of Police to take appropriate action to stop the misuse of VIP lanes. 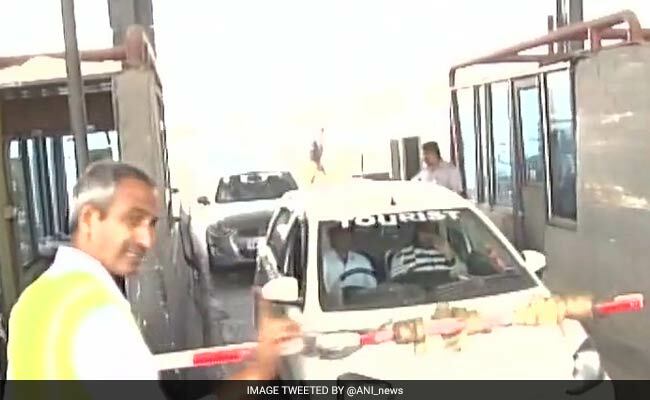 The Traffic Police in Gurugram have alleged misuse of emergency or VIP lanes by the contractor at the Kherki Daula toll plaza on Delhi-Gurugram Expressway and sought sealing of toll collection windows at the dedicated lanes. Traffic Police Station (1) chief Jaiprakash has written to Deputy Commissioner of Police (Traffic) to take appropriate action to stop the misuse of dedicated VIP lanes. "Toll employees are usually seen seated in the window cabins on these lanes collecting toll fee. The operator has been asked several times to stop this illegal activity but they are not ready to follow the mandatory guidelines," Mr Jaiprakash wrote. "Recently, I again visited the emergency lane window along with Assistant Commissioner of Police Heera Singh and found employees collecting toll fee," the letter read. These lanes must be kept free for vehicles pressed into emergency services or VIP movement, an officer said on Sunday on the condition of anonymity. The toll operator also don't remove the boom barriers without the intervention of Traffic Police when there are heavy traffic jams at the toll plaza. "When the waiting time at the toll crosses four minutes or the queues of vehicles extends beyond 500 metres, boom barriers should be removed to allow passing the traffic without stopping but the operator did not follow the rule," the officer said. Kirpal Singh of Skylark, the company providing assistance in collection of toll at the plaza, told news agency IANS: "We are just following the guidelines issued by Millennium City Expressway Pvt Ltd, the main concessionaire company of the toll plaza."